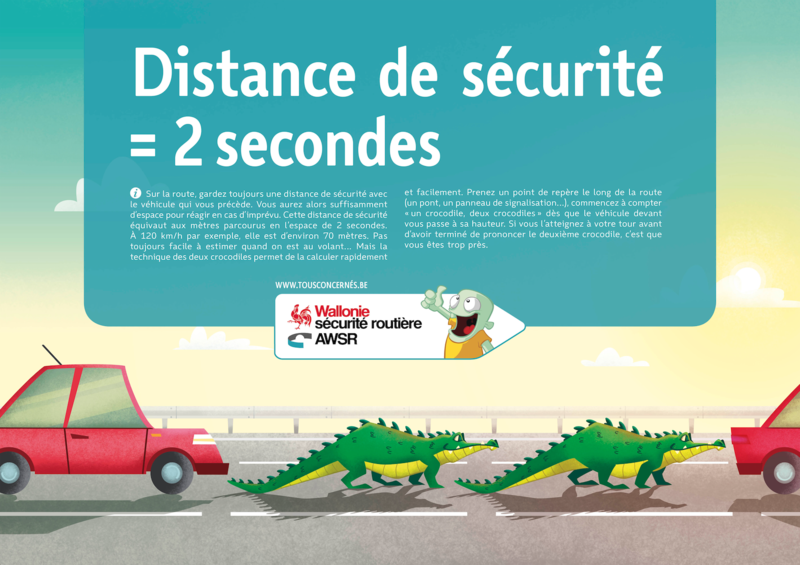 The main challenge for this campaign was to push people to respect the safety distances on Belgian highways. People are used to hear awareness campaigns about this topic and no longer pay attention to them. 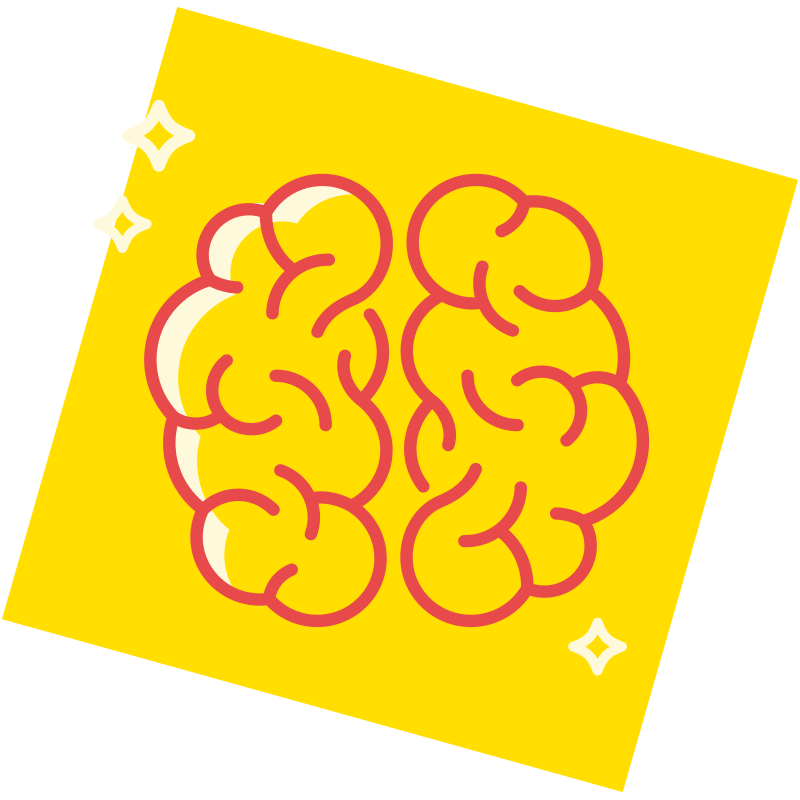 Our challenge was to find a solution to attract their attention and make them be more careful. 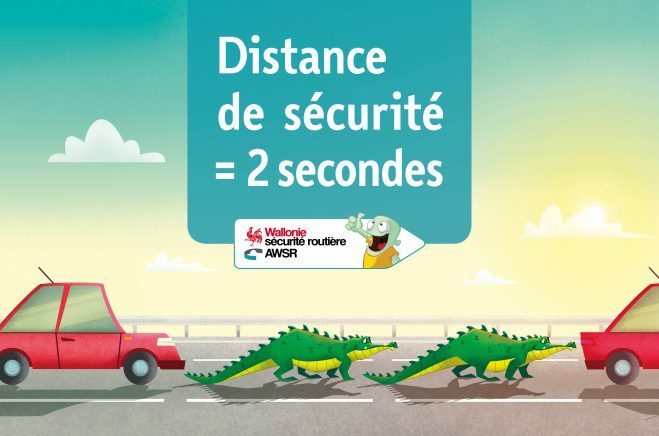 Most people in Belgium know they should respect the safety distance but this gets forgotten all too often. 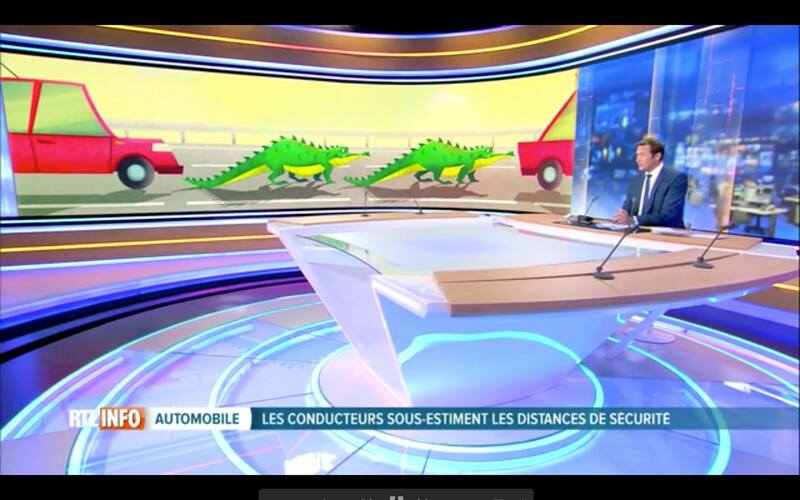 To remind them of this we went back to an old trick: counting crocodiles. 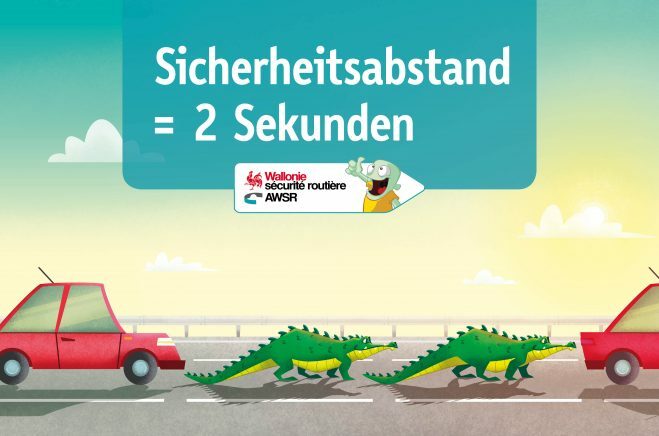 We created posters for highways showing the crocodiles and a video further explaining the way to respect the safety distance in a light-hearted way. 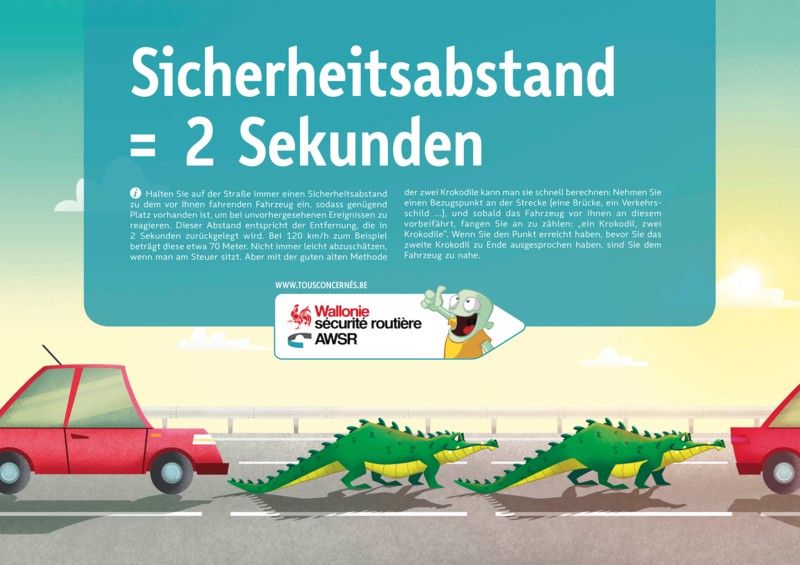 The AWSR crocodiles made the evening news and about 30% of people did NOT skip the advertisement on YouTube, which was above average.